Officeworks uses the latest credit card technologies, Verified by Visa & MasterCard SecureCode to ensure that your online shopping experience with us is safe and secure. Officeworks takes your privacy and data security seriously and we do our best to provide an exceptional level of protection for our customers against online fraud and credit card theft. When you place an order on the Officeworks website using a credit card you may be requested by your bank or financial institution (via our website to enter your security credentials or provide a code via SMS (mobile number on file with your bank) to authorise the transaction. Once credentials have been validated by your bank, your order will be finalised with us. Both Verified by Visa & MasterCard SecureCode are services that provide the necessary protection to keep your credit card safe from hacking. These services are provide free of charge, however your bank or financial institution needs to register you to take advantage of these security features. Most major banking and financial institutions automatically enrol their customers for Verified by Visa and MasterCard SecureCode services. However, if your card is not enrolled, this means that either the bank that issued the card is not yet supporting these services or it means that the card holder has not yet been registered for them. If you are not registered and your financial institution requests verification from you via the Officeworks website you will not be able to finalise your purchase with us. It is highly recommended for a smooth, safe & secure shopping experience that you register for these services if you discover that you are not registered. If your card is enrolled for Verified by Visa and MasterCard SecureCode by your bank or financial institution, the Officeworks website will automatically use these services to protect your online transactions with us. 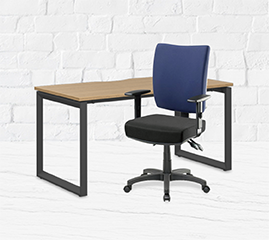 You can be confident that your shopping experience with Officeworks is safe and secure. Do you have a list of participating banks? Visit www.visa.com.au or www.mastercard.com.au for more information on these services. What if I don’t see anything from my bank when I place an order using my Visa or Mastercard Credit Card? Your credit card is protected and you can continue to shop with confidence. Will I be requested for my online banking credentials or SMS code every time I shop with Officeworks? No, typically this is a once off check, however on occasion you may be requested to verify your credentials on multiple shopping occasions.